No matter what kind of business you’re in, if you want people to buy your products or services, you’ll need to sell it, right? 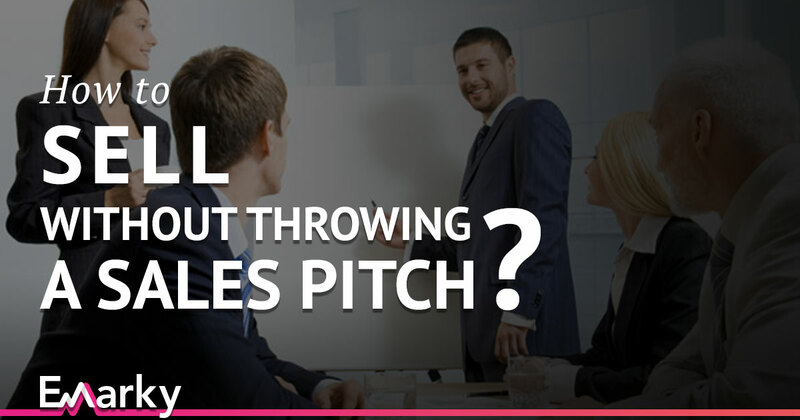 At least, that’s what many businesses do – SELL – which is why many (potential) customers can see a sales pitch coming from a mile away. What if I told you there’s a way of selling your product or service – without actually selling it? You’ll get the same kind of results without having the “nasty taste” of selling – resulting in more happy prospects and clients – even if they don’t buy. This does not require any forms of magic nor does it need you to study anything. The best weapon you can use is your wit and your brain – so tease a “trick” within your expertise which should be something that will help them achieve their goals. The following examples provide a better explanation. What if I could tell you the secrets to selling successfully of the net, would you be interested? I discovered how to instantly double my Facebook Ads CTR with one sneaky change. Do you want to know more? Make sure that it wouldn’t sound as if your main aim is to get their money because customers are very keen about it. Don’t blow your chances. Prove that the “trick” you teased them about actually works – for you and for others. You can do this by showing your audience what it has done for you and sharing other success stories from those who applied the same trick. At this stage you have completely caught their attention, and they are now more than eager to listen to whatever you have to say. Time to put your money where your mouth is and reveal the exact tricks or strategy you teased them about. Yes – for free. Teach them the exact to-dos and what-nots, and everything there is to learn about the subject. Do this on a step-by-step basis. By now your audience knows exactly how to achieve the goal they have in mind, thanks to your step-by-step process – which might still be a manual process. That’s the perfect time to let them know you have something to make the trick easier – which is where your paid product or service comes in. Below you’ll find these 4 steps in an infographic. Feel free to share it or put it on your blog as well! 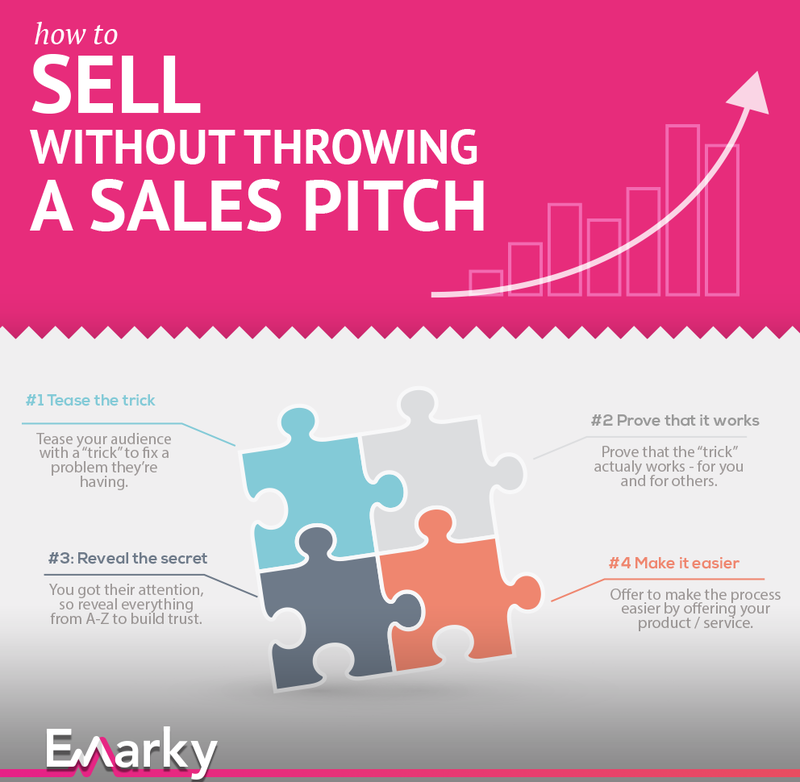 It doesn’t matter what you’re selling – this simple 4-step process will help you sell more. Even if they don’t buy from you, they will still remember the way you present your products and like you for not sounding like a salesman. Your aim should always be to please your prospect customers because maybe in the future, they will be needing a product similar to yours.